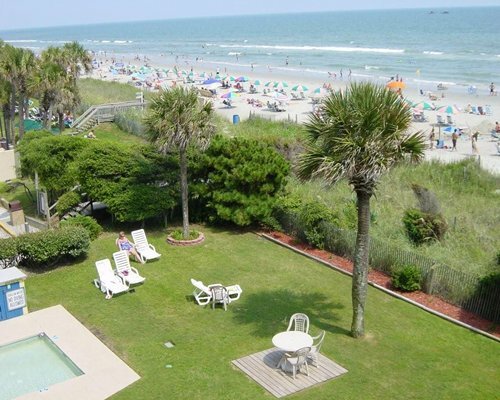 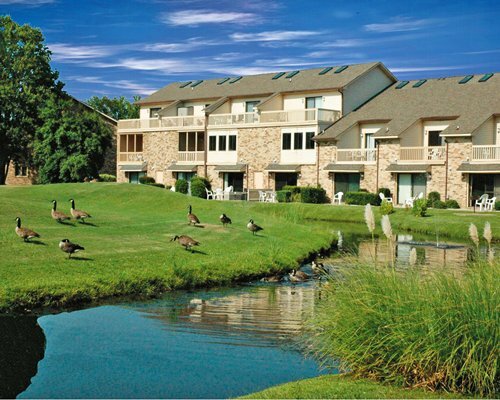 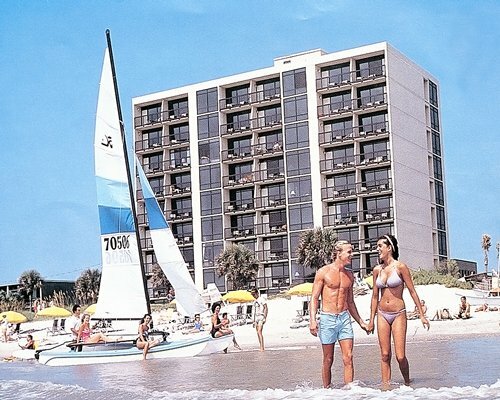 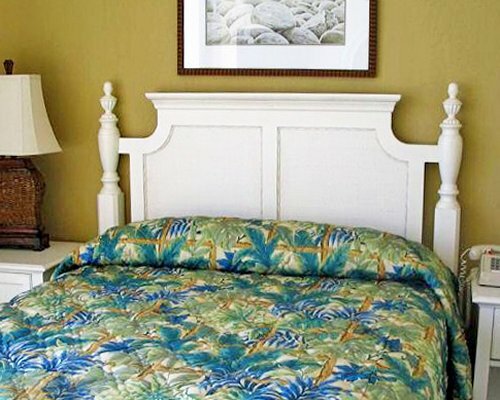 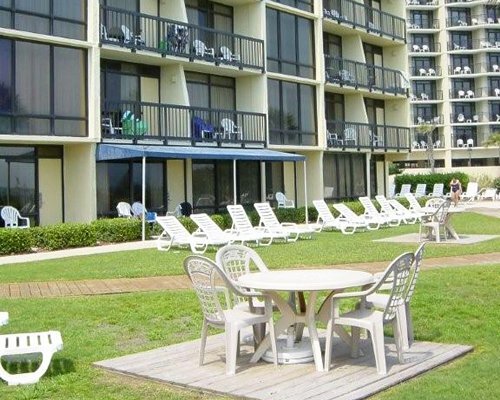 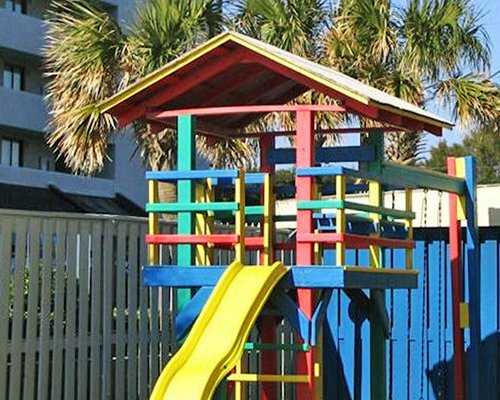 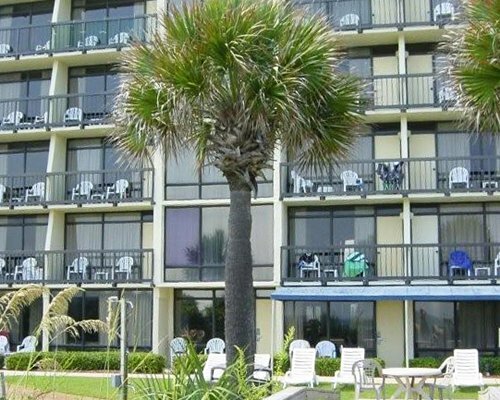 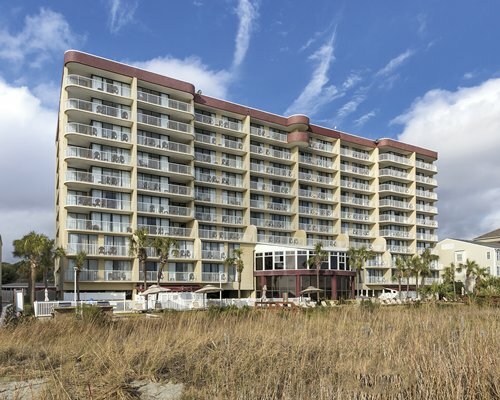 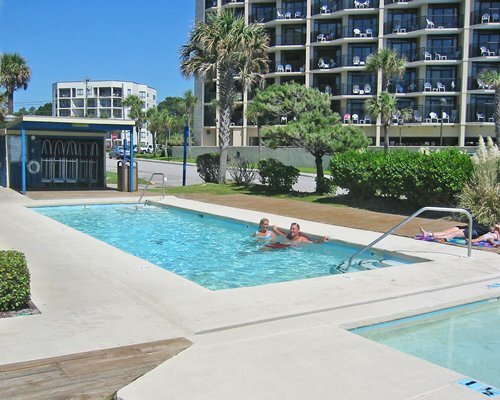 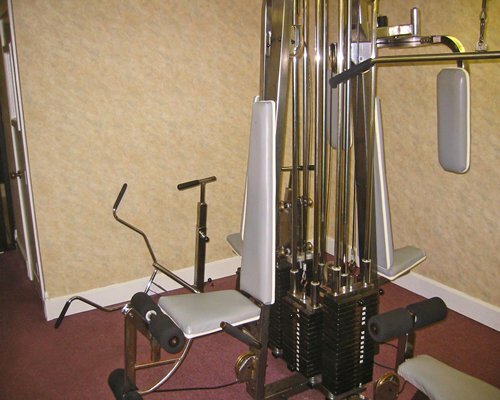 Schooner Beach and Racquet Club in centrally located near Myrtle Beach's many attractions. 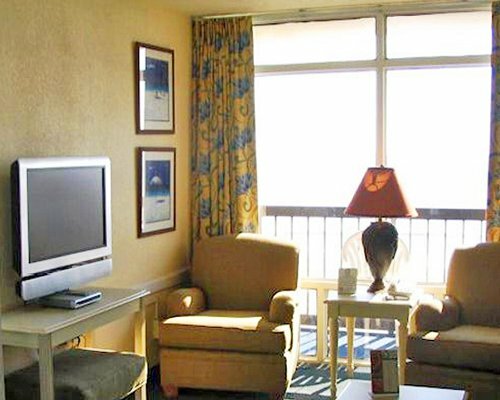 The resort is situated in a quiet area of Myrtle Beach, so you can enjoy a relaxing and peaceful vacation, or immerse yourself in all the attractions that await you in one of America's favorite resort towns. 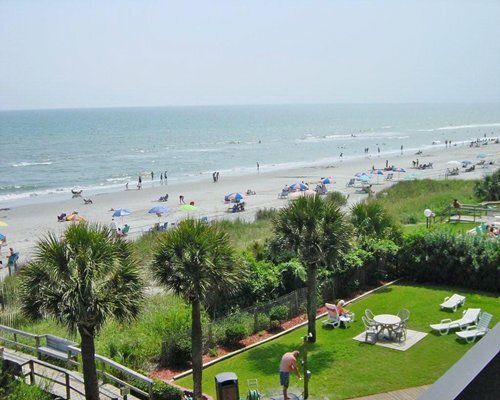 Take a dip in the ocean or just get a tan on our beautiful white, sandy beach. 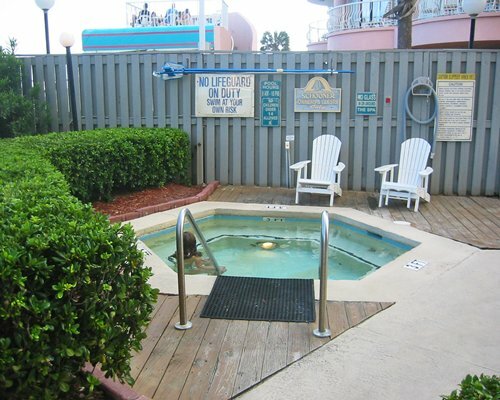 Lounge by the pool, or enjoy the invigorating Jacuzzi. 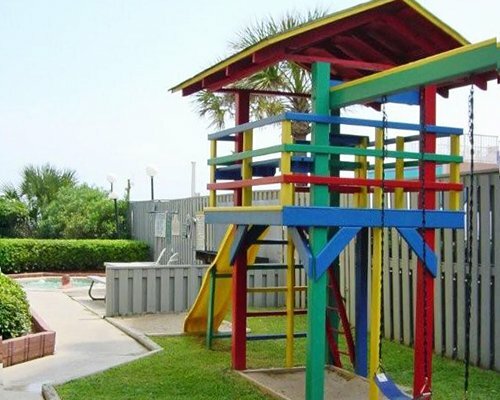 Go on a family picnic or let the kids enjoy the kiddie pool or the playground. 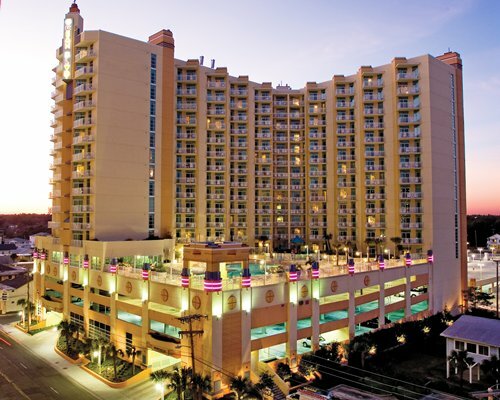 After a day of sun and fun, it's time to pamper yourself in our spa. 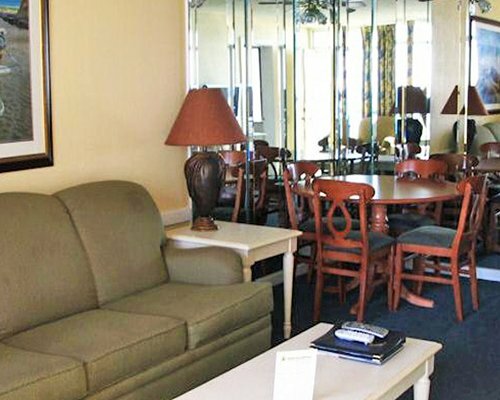 The spacious one-bedroom suites sleep 4. 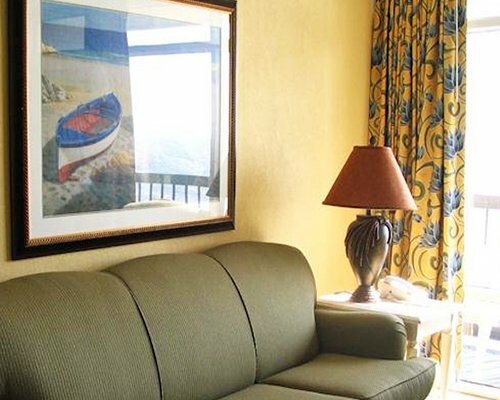 Relax and enjoy the sunrise from your oceanfront balcony. 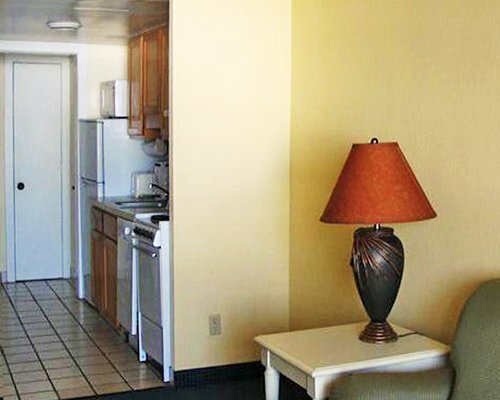 These units are attractive and feature a fully equipped kitchen and a dining room, plus a separate alcove with bunk beds. 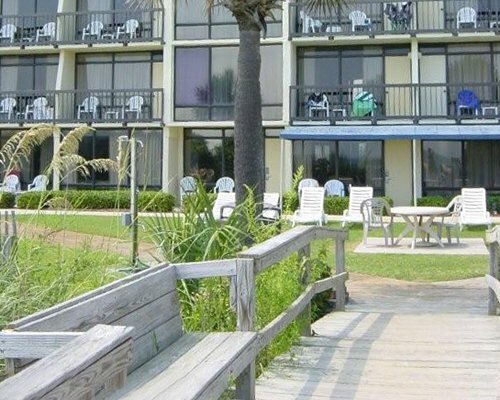 So they're idea for families with 2 small children. 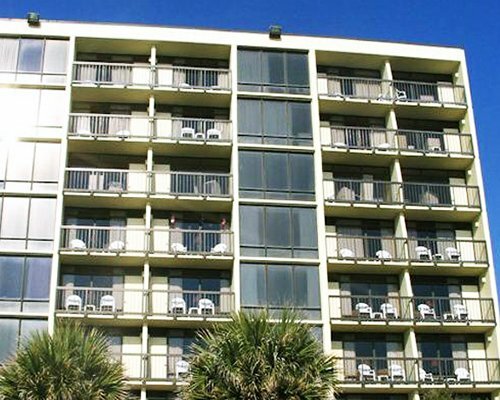 The newly renovated, spacious two-bedroom suites have stunning views of Myrtle Beach and the Atlantic Ocean, two full bedrooms and bathrooms, and a fully equipped kitchen to cook a meal or heat up leftovers. 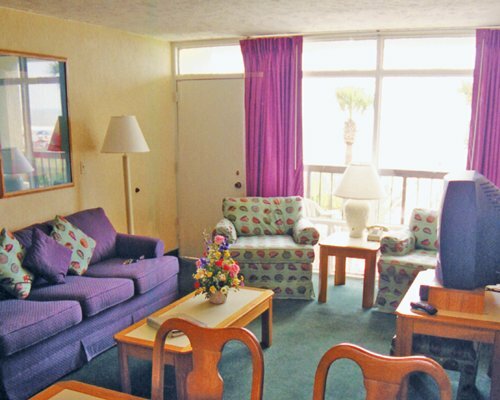 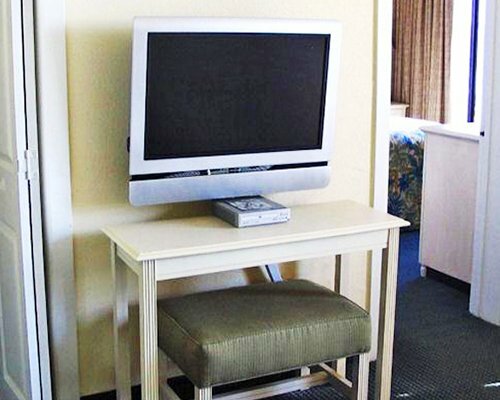 For your entertainment, each unit at Schooner beach has a flat screen TV, cable TV and a DVD player. 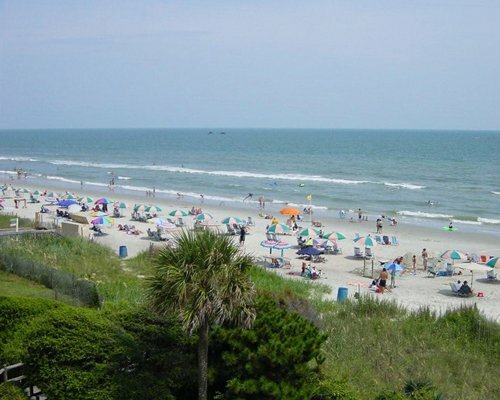 Myrtle Beach Int'l airport is 9 miles away from the resort. 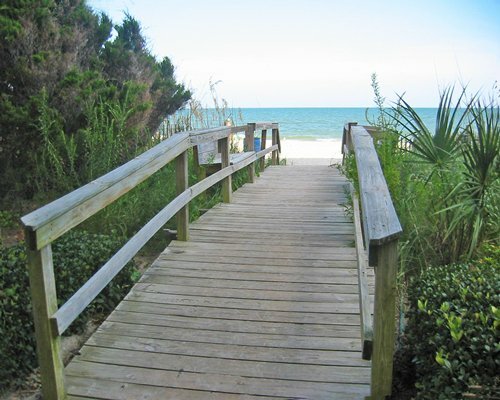 Exit onto Highway 17 North, follow to 79th Avenue and turn right. 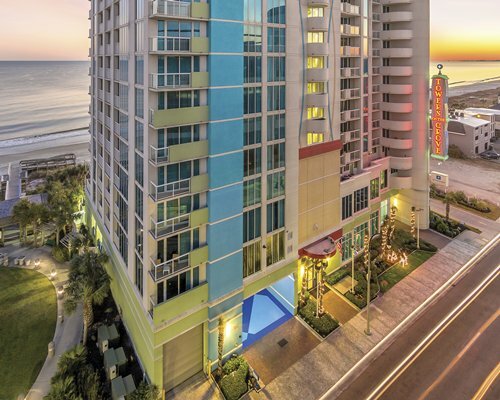 Turn right onto Ocean Blvd. 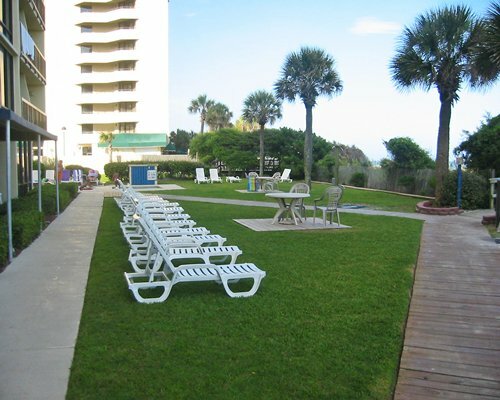 The resort is 8 blocks down on left side of the road. 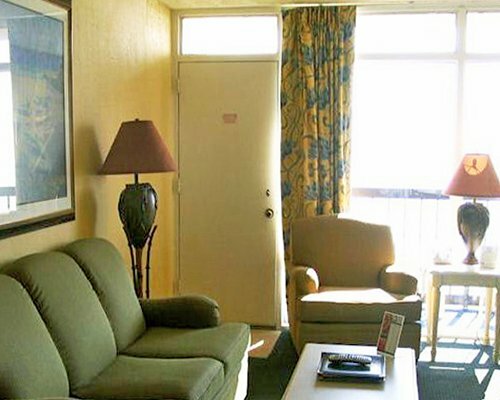 Nearby construction or remodeling may disturb guests from May 22, 2018 to May 22, 2019. 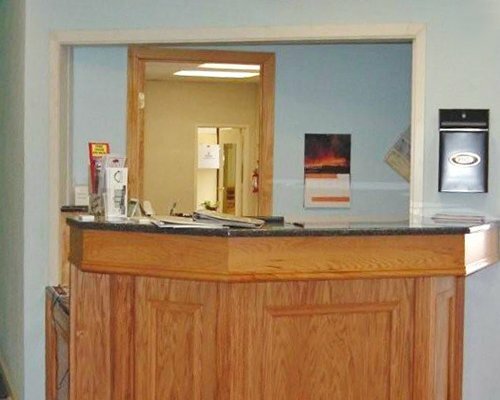 Offsite construction may distrub guest.